Consuming cannabis in scrumptious homemade edibles is a healthier alternative to smoking, and it also offers a whole new culinary experience. Even more, eating cannabis edibles offers a much potent (and usually longer) experience than smoking. You can find literally thousands of recipes for cannabis edibles, but, to save you the trouble, we have gathered the top 29 websites right here. Taste! We only chose delicious recipes, obviously. Ease! We chose a healthy mix of beginner recipes and challenging ones for experienced cooks. Creativity! While we chose the best of the must-try classics, we also looked for delicious innovations. Since there are so many not-so-great recipes out there, we decided to gather the top contenders so you can get started in the kitchen! You will want to take a look at (and certainly try recipes from) these amazing sites that we have exclusively sourced for your convenience. Let’s do this! This website is certainly worth a top mention on our list. It has everything you will be looking for to make homemade cannabis edibles. It includes an easy and straightforward guide on how to make cannabutter, the main ingredient needed to add cannabis into foods, as well as dozens of wonderful and imaginative recipes. 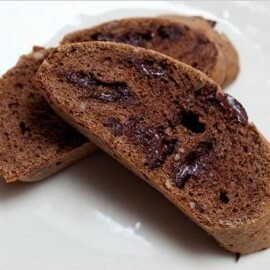 Enjoy a fabulous afternoon snac k with their cannachocolate biscotti and marijuana tea. The Stoner’s Cookbook is an excellent place to start your journey making cannabis edibles and learn everything you need to know about your next favorite pot snack. This a responsible and versatile site that offers plenty of knowledge, not only on cooking with cannabis, but also about various strains of marijuana and how they act differently when consumed. One of their best recipes is their gluten-free pot brownies, which offer a delicious pot snack choice to those suffering from gluten intolerance. Two more of their most popular recipes include the cannabis s’mores recipe and the refreshing chai-juana latte, which make for an awesome combo. Edibles Magazine likes to keep things simple, great looking and absolutely irresistible. Their snacks will certainly have you reaching for more again and again. What we liked most of all were their no-bake canna honey balls. Sweet and chewy with a slight crunch from the granola, it’s the perfect snack for people who are more health-conscious. 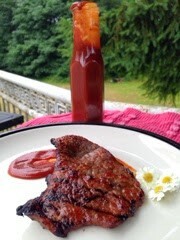 Their medicated steak marinade was a revelation and will certainly crown any piece of meat delightfully. Finally, we have to mention their juicy and sharp infused pineapple stuffing , which makes an awesome side dish with ham for an unforgettable holiday supper. At Wake & Bake, you will find more than just amazing baked goodies rich in cannabis infusion. While they also sell a cookbook with dozens of recipes, the site offers some of their premium recipes for free. To make some special, healthy treats, Wake & Bake teaches you how to make cannabis-infused coconut oil that makes lots of exotic dishes sing. 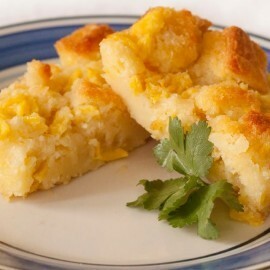 The amazing cannabanana bread is not only fun to say but also a total joy to eat. Last, but not least, their infused artichoke dip is simply divine! TGKR was high on our list simply because their recipes are so varied, covering almost any craving and culinary desire. We looked long and hard to find favorites among their many delicious dishes, but, to be honest, almost all of their stuff is totally worth a try. Our favorite must be Elvis’ AK-47 Banana Bread , because we have to agree with the King here; this stuff is delish! 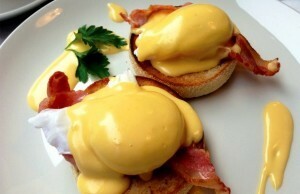 The super lemon haze hollandaise is creamy, zesty, and absolute breakfast perfection. Finally, their McFly biscuits and gravy sound too good to pass up, right? The guides are very simple and easy to follow. 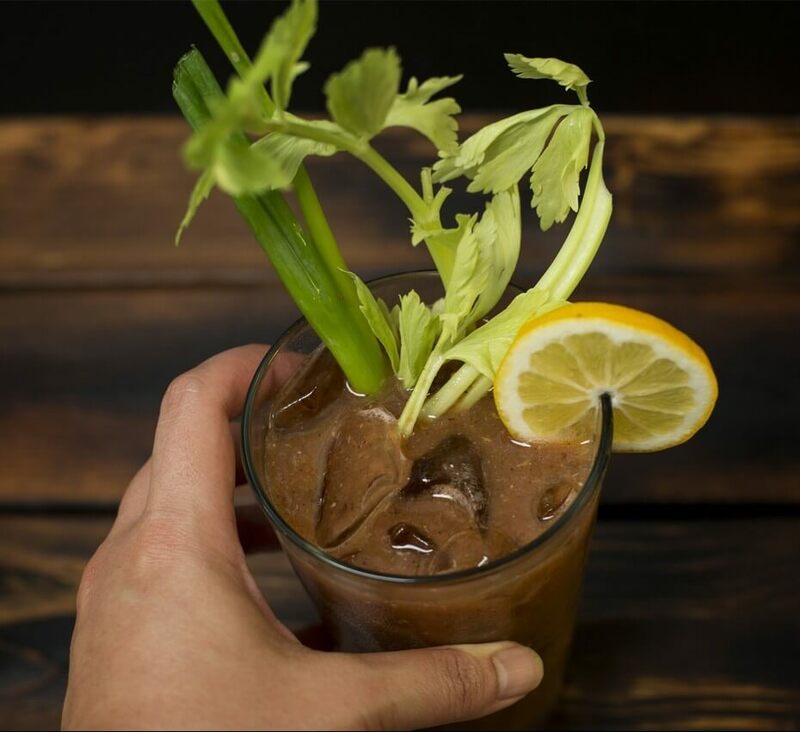 To top things off, they have plenty of imaginative recipes for you to use the cannabis ingredients you created. Some of their most popular foods are their cannabis hard candies and lollipops. Their funny and equally delicious Harry “pot-head” Potter’s butterbeer is an absolute hit, and one can only drool at the mention of the Culinary Cannabis Magazine’s butternut cake with cannabutter frosting ! While this website is best suited to experienced cannabis cooks, Cannabis Now is the ideal place to find intriguing new recipes as well as legal, high-quality focused dispensaries in your area (if there are any). Their medible ganja gummies are as squishy as they are fruity delicious. For a cakey, soft delight, the almond bliss bar will bring your cannabis edible experience to another level with its light, fluffy texture and sweet almond taste. Finally, ending any night with the zesty lemon weed drop mocktail is certain to surprise and tingle your senses. 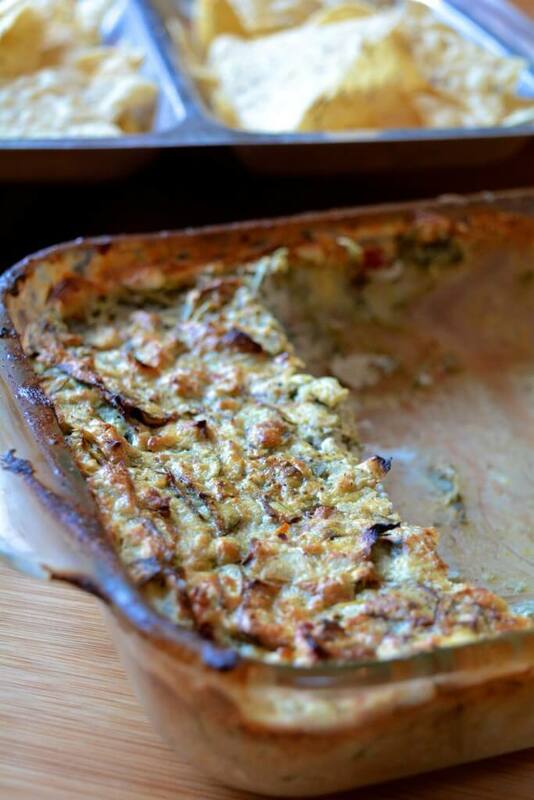 The blog of passionate health coach Pam, Twicebaked in Washington displays her favorite recipes. Pam uses medicinal marijuana for health reasons. While this blog is about all things cannabis from the writer’s point of view, we were especially intrigued by her healthy, innovative recipes. 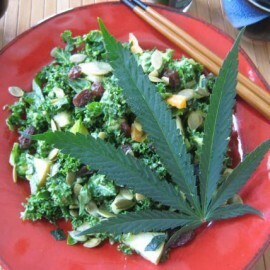 Her raw cannabis and kale salad wins plenty of tasty points for being really healthy. Our favorite is the chia hemp turtle bites, which sounds and tastes simply irresistible. Finally, her happy cashew hemp pie is an absolute delight to behold (and to secretly gobble up in the kitchen at two in the morning). This blog is, once again, about more than just recipes, offering readers information about medical marijuana and its uses. Still, their recipes are well worth a mention for their taste and simplicity. This blog provides an easy-to-follow guide on how to create cannabis sugar , which you can add to your favorite recipe instead of plain sugar. This way, you can make cannabis edibles from your own recipes. Me, You and Maryjane’s MMJ BBQ sauce is the perfect idea for some Saturday grillin’ and chillin’ as it perfectly complements the meats and dishes of your choice. If you want a chewy, sweet treat, you should absolutely try their Tincture Teddies ! What’s so amazing about Infused Eats is that they accompany their recipes with full video tutorials and “how-to”explanations. This makes it much easier for the cannabis edibles beginner cook to get a hang for more complex recipes and new delicious treats. 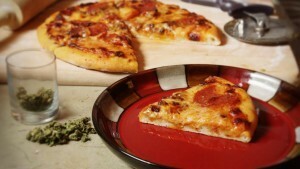 Finally, we found the perfect recipe for marijuana pizza/cannabis olive oil infusion at Infused Eats! If you’re a pizza lover, this is a must-try. We also loved their cannabis smashed potatoes. Infused Eats is an online cookbook, and you need to sign up with them to be able to view their recipes. At Eat Your Cannabis, the cannabis edibles choices have reached another level, offering you recipes for holidays, evening snacks and fantastic dinners. 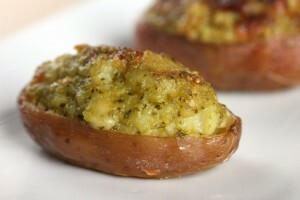 The savory triple baked cannabis potatoes are the perfect side dish for your next dinner party or gathering. Their popular marijuana-infused apple cider combines two of your favorite ways to relax in the evening in a single, delicious drink you’ll want to savor again and again. During pumpkin season, try their spectacular cannabis pumpkin pie . It’s too splendid to share. Eat Your Cannabis has plenty of recipes for people with special dietary needs, including vegan, gluten-free and sugar-free diets. Grasscity only has a few recipes, but each and every one of them is a gem and totally worth your time to make. They also offer plenty of information on how to grow medicinal cannabis, and have plenty of products available on their site. We loved their Cannabis Honey and Simple Syrup , which goes great with everything from toast to cakes or scones. This is so easy to make and such a versatile topping for sweets that it is worth keeping in your pantry. Grasscity also teaches you how to infuse cannabis cooking oils to add to your own savory recipes if you want to turn them into delish cannabis edibles. This is a wonderful blog about everything cannabis, celebrating legalization of medical use and showcasing news from all over the country. It comes as to no surprise that there are some cannabis recipe gems included in this well-informed site, and each is worth a try for sure. 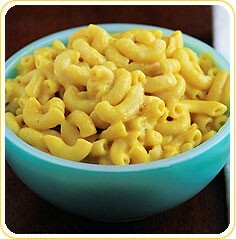 If you like mac and cheese (and who doesn’t?! ), then the Cannabist’s smoky mac ’n’ cheese will surely tick all the right boxes. It is a creamy, heavenly combination with a powerful kick. We also found their healthy, nutritious and chewy granola bars an absolute win due to all the great ingredients and the fantastic taste. Weed Chefs are a happy bunch of medical marijuana growers who create absolute delights with their homegrown crops. The site offers so many different recipes on fantastic cannabis edibles that it was nearly impossible to choose our favorites to showcase. Still, with a heavy heart (and stomach), we decided on a few top contenders. First had to be the classic, yet unforgettable, cannabis sugar cookies, which we absolutely adored. Second, their Cannabis Cocoa Rice Krispy treats are a perfect delight for any time of day. Last, we have to mention their cannacream , which is a fantastic cannabis-infused ingredient to add to your hot cocoa, tea, or even mashed potatoes. A fun-loving and lighthearted site, Good & Baked brings together the best of two worlds: the traditional bakery and a pot-lover’s dreams. Their creations are mostly simple and are a cinch to make, but they’re absolute winners when it comes to taste. any of your favorite pesto dishes. 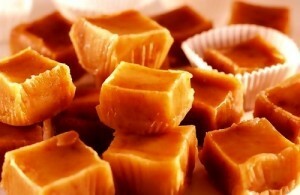 We also fell in love with the chewy, sweet delight that is Good & Baked’s cannabis caramels. Just be prepared when you taste their weed firecrackers ; you’ll be in for a spicy surprise you won’t easily forget. At sous weed°, the recipes are absolutely fab and not afraid to show it. Here, you can find eccentric delicacies for the experienced cook to try and the beginner to strive to master. We totally fell in love with their take on cannabis edibles, which brought a unique elegance to the kitchen. Our favorite must be their stoned fruit galette. It was flaky, fruity and light, a perfect combo. We also loved the bourbon glazed & confused burger topped with melted pepper jack cheese and thick cuts of crispy bacon. Need we say more? 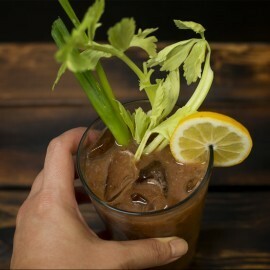 Finally, washing everything down with one of their bloody Mary Janes is highly recommended. You can keep yourself up on the latest cannabis news and craze at Cannabis Search while also trying their amazing king-of-all-snacks recipes. 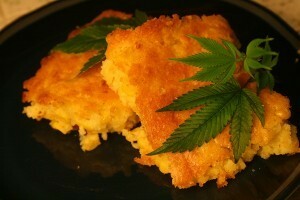 Few cannabis recipes reach the comfort level of the macaroni and trees featured on Cannabis Search. Don’t worry about the trees bit; this is a perfectly delicious mac ’n’ cheese recipe that will make you lick your spoon. For that light sugar kick, their jolly ranchers are a fantastic choice that will satisfy that sweet tooth immediately. Last, but certainly not least, we could not resist their classic and fantastic crispy treats. Talk about some sweet, hazy crunch you won’t soon forget! 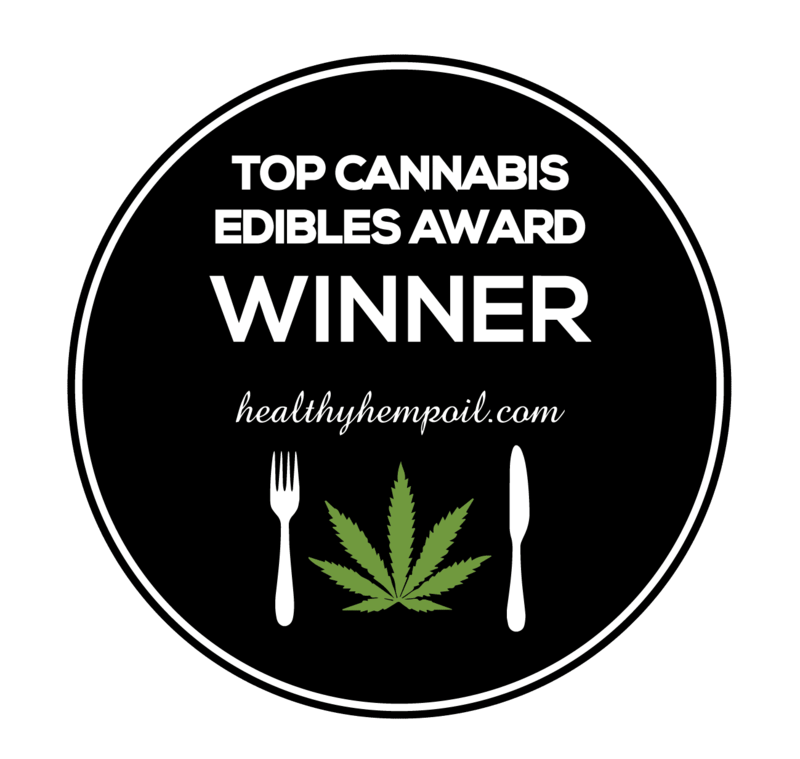 At E Marijuana Recipes, you are certain to find many amazing full-blown meals for when you are in the mood for something thoroughly filling and satisfying. They also have plenty of easy snack recipes if you prefer something fast. From all their recipes, it was their cannabis jambalaya that drew our attention, and it definitely delivered on everything it promised: warmth, taste and comfort. And who can resist the name chronic cheesy fries ? They were just as good as they sound! Finally, for a healthier but equally amazing snack, their cannabis power smoothie hits the spot. The Weed Scene has plenty of advice on how to grow your own marijuana properly, and it also gives plenty of tips on how to infuse your own cannabutter and make scrumptious cannabis edibles. We simply could not resist their classic and fantastic magic chocolate weed cookies , and we were right not to! 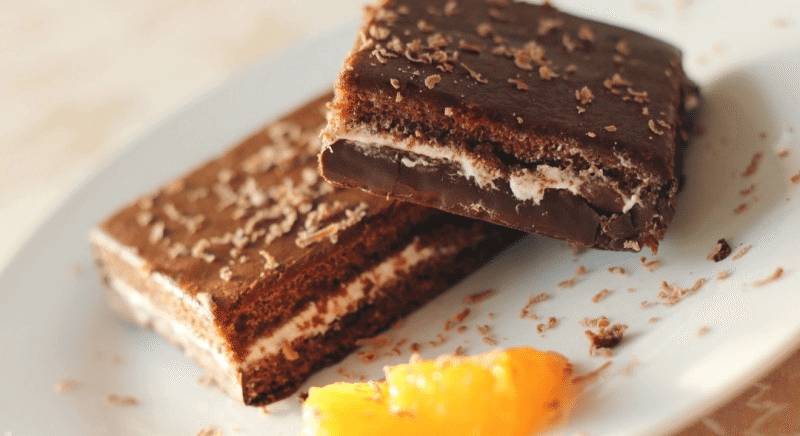 They ended up being one of the best cannabis edibles recipes we tried. The funky Fruity Pebbles treats were just as the name describes: fruity and certainly funky, taking Rice Krispy treats to a whole other level. Finally, the canna buttercream icing was so amazing that you will want to eat it straight out of the bowl. What’s so great about marijuana.cc is that they keep their recipes very basic and simple, giving beginners a chance to first experiment with easy but delicious foods. We loved their simple and tasty cannabis pancakes , which are an easy-to-make breakfast or snack any time of the day. 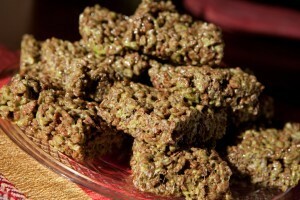 Marijuana.cc also offers one of the best cannabis butter cookies >recipes we’ve tried. Last, their cannabis chile cheese grits are as eccentric as they are irresistible for those who love a good bowl of hot grits. Original Weed Recipes is an all-around amazing place to begin your cannabis edible cooking journey. They offer hundreds of recipes, candy molds and lots of video tutorials on how to make basic cannabis-infused ingredients. 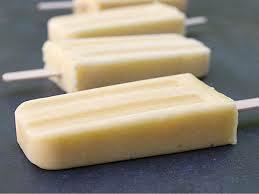 Their weed popsicles are to die for; they’re sweet, simple and fun to eat. This is a beginner’s recipe that everyone will love to try. We totally adored their cannabis coffee cake – simply the perfect afternoon snack. 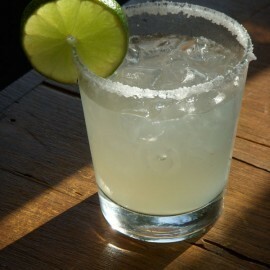 Finally, for a chill evening, Original Weed Recipes teaches you how to make the most bombastic marijuana margaritas! No top cann abis edibles list would be complete without this clean and crisp site! 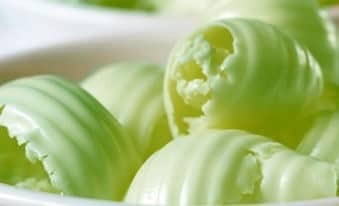 Marijuana Recipes.com is all about cannabis edibles, offering clear instructions on how to make simple infused ingredients like their amazing cannacream along with plenty of complex recipes. 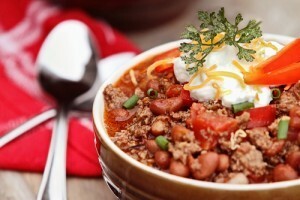 One of our absolute favorites throughout the whole list was the warm, spicy and cozy baked chili. It’s easy to prepare and total ly worth the effort. 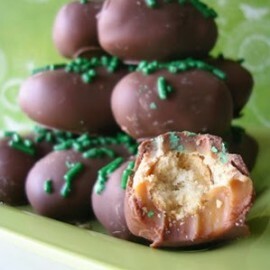 From their sweets, their chocolate and caramel covered pretzels were a winner in our eyes. But don’t be fooled; there are plenty of winning recipes in this place! Offering a wide array of delightful recipes, the Marijuana Recipes Blog is home of talented writers and experienced cannabis edibles makers. Their main focus is always on pure flavor, but they dare to be creative and innovative nonetheless. You can tell they know what they’re doing when you taste their proudly and aptly named best ever pot brownies , which have just the right amount of chew. We also were enticed by the carby delight of their killer kush cornbread and the warm, comfort food level of their cannabis-infused pumpkin pie. The weed blog offers information on the growing medical marijuana scene in the US, giving tips to businessmen wanting to open dispensaries and to medical cannabis users. Their well-informed site also offers what we were looking for: cannabis edibles that are to die for. Cannabis bacon , anyone? Of course, something with bacon in it absolutely had to make it on this list, and this was the perfect, crispy, fatty recipe to win the crown. Why not pair your lunch with some awesome cheesy marijuana fries ? The Weed Blog offers a recipe that’s irresistible. 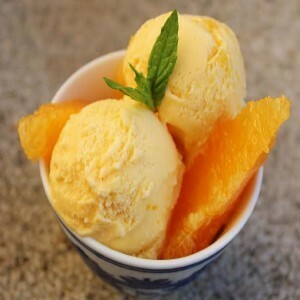 Last, but not least, a cannabis creamsicle sounds like the ideal, sweet and refreshing dessert we all have been craving during the hot summer months. More for the aloof cannabis lover, Hemp Beach TV offers plenty of great advice on how to consume cannabis in delicious treats. They have a great variety of recipes, including sweets, breakfast, dinner and basic cooking products. Their recipes for cannabis oils are extremely useful and potent if you want to make cannabis edibles using oil. 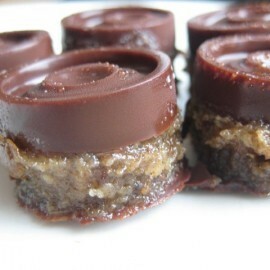 This is often a great idea for savory recipes if you don’t have a sweet tooth. 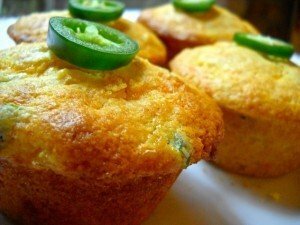 We also loved their Jalapeno ganja muffins for the spicy and moist delights that they are. 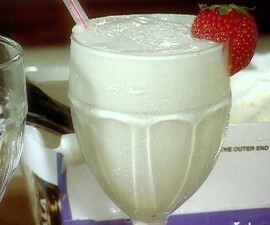 If you prefer something sweet, try their weed rum pound cake or the fantastic cannacoffee milkshake ! At the Weedist, you can find plenty of info on marijuana in general, ranging from gear and use to the recipes we are here for. Most of their recipes focus on giving that “at home” feel that we all cherish, so we simply had to put this site on our list. Some of their recipes stood out as clear winners to us. Mushroom burgers are a vegetarian’s dream. These babies are just as chewy, juicy and savory as one would like and pack a fantastic kick. If you want something spicier, then the Weedist’s chickpea curry might be the dish for you. FFinally, we have to recommend their green goddess dip . It is simply amazing. Cheri Sicard, the blogger behind Cannabis Cheri, is an avid cannabis supporter, especially when it comes to its health benefits. 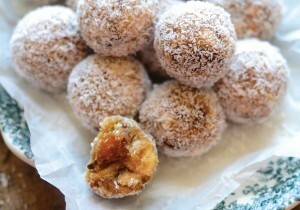 While her blog has a lot of useful and interesting content, one simply can’t ignore her absolutely scrumptious recipes! Try her eggnog custard during the holidays for a truly special treat. If you want a vegan treat for a change, her American raw vegan chocolate pudding is the ideal choice. It is free of animal products and great for raw-food lovers everywhere. Finally, you have not lived until you’ve tried her delish sesame honey-lime chicken wings ! We absolutely had to include CANNABIS VIDEOS in this list for one obvious reason: learning to cook from a video can be easier for many and can show the whole procedure in detail, which both beginners and experienced cooks can appreciate. We especially fell in love with their chewy cannabis peanut butter cookies . Also, the weed snickerdoodles are an absolute treat you will want to bake again and again. 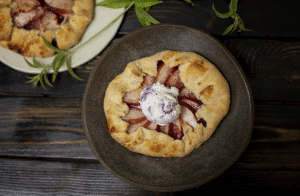 Finally, a not-so-traditional cannabis-loaded apple pie comes highly recommended for its sheer tastiness and comfort food level! On High Times, you will once again find much more than just recipes about cannabis, but their edibles alone are well worth a visit. Their psychedelicatessen recipes are not only fun to read; they also create some of the most delightful food items on this list. Most of the recipes on High Times are all about comfort foods we love and can’t live without. The winner had to be their sweet and tangy Bar-B-Cannabis sauce , which goes amazingly well with grilled meats and other BBQ delights. But let’s not ignore their ganja guacamole . I mean, who doesn’t love guacamole? Their recipe is unbelievable tasty. That’s it! This concludes our TOP choices on Cannabis Edibles. We are proud for having compiled the most comprehensive list currently available online, but no list can ever be complete – We want to hear from YOU! If we missed your favorite website, or if you want to share your favorite recipes, let us know in the comments section below!